Roses are always premium. Here they are deluxe! Tell your beloved that you love him or her...and do that firmly ... as firmly as the bouquet is beautifully tied in red ribbon! 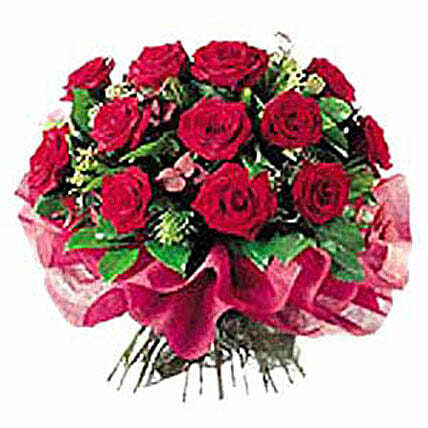 After all s/he has made so much difference to your life just by being there!The deluxe rose bouquet has dozen roses interspersed with hypericum, babies breath and greens.